Sleeping Pills for Kids, Why Not? Like most parents dealing with a child who won't sleep, you've probably made a shameful Google search for "sleeping pills for kids." Despite the pharmaceutical industry’s love of money, they’ve never conducted clinical trials for Zolpidem (aka Ambien) on children, despite indications it might not be so bad. In one study, an 18-month-old with severe insomnia slept for eight to 10 hours a night after taking 1.5 milligrams of Zolpidem at bedtime. A study of more than 400 children taken to Texas poison control centers after accidentally ingesting Zolpidem found that the drug had no effect in almost 60 percent of the cases. Before you give a sleeping pill to a kid, remember that it’s a drug a lot of adults can’t handle. The FDA lowered the recommended dosage of Zolpidem in the wake of reports of next day grogginess making driving dangerous. That’s along with reports of Ambien-based behavior and crimes ranging from sleep-binge-eating to sleep-murder. 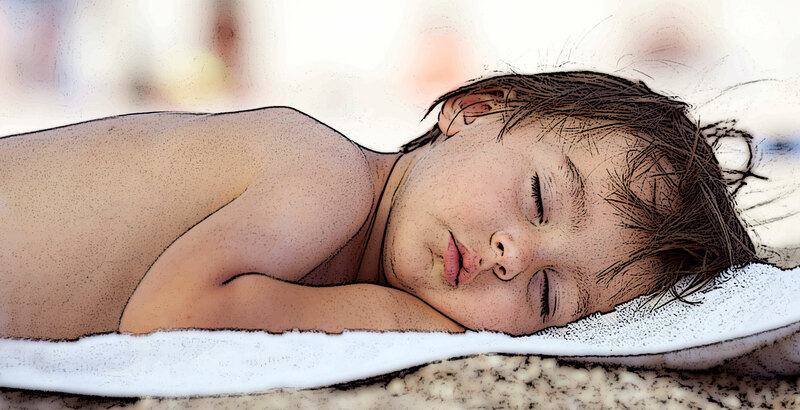 Compounding the issue, the transition between being awake and asleep is tricky for a baby. Adults are told they need to lie down immediately after taking a sleeping pill or risk dangerous behavior. Kids wouldn’t understand that and would just stay awake, no matter how tired they are. Zolpidem works by slowing brain activity, which seems dangerous for a developing brain. Not that the natural option of melatonin is any better. Doctors at the Mayo clinic say that in addition to regulating sleep, Melatonin affects the way the body matures sexually, with melatonin levels impacting how the ovaries and testes function. Doctors warn that it is not yet know how taking melatonin during sexual development. Anyway, a pediatrician who spoke with Van Winkle's said that melatonin wouldn’t work on children younger than teenagers. They already have a sufficient amount of melatonin in their system; adding more wouldn’t make a helpful difference. And if your kid snores, sleep medication can be dangerous, as it increases the risk of sleep apnea. During a deeper, medicated sleep, your child may stop breathing. So what to do when your toddler won't sleep and you’ve already taken all the normal measures you found online and in the parenting manuals? As a last resort, you can turn to antihistamines, acetaminophen and ibuprofen. While those drugs are intended to treat allergy, pain and fever symptoms, they're known to cause sleepiness “off-label.” Pediatric Associates of NYC provides a dosage chart with guidelines for different weights of babies. Benadryl isn’t recommended for children younger than six months, and some parents report these medicines can make children hyper instead of tired. Consult your pediatrician before giving your child any of the above.